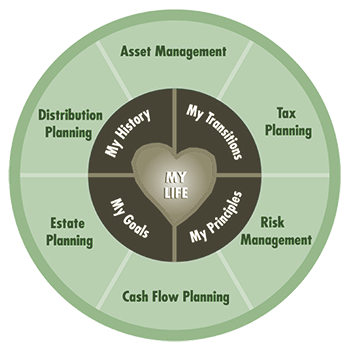 Investment management is important, but the most important thing we do for our clients is financial planning. * A portfolio is like the bricks and mortar for your home, but the plan is the blue print. The portfolio is the car; the plan is the road map. This is why, for every qualified client, we take care on the front end to Plan with Purpose! We’ll map out a financial plan to clarify your goals, and get you on track to achieve them. We want to help make sure you save enough for retirement, your money lasts as long as you do, the kids are taken care, the grandkids go to college, your favorite charities get funded, and Uncle Sam doesn’t get more than his due! We’re on a missions to help you retire well, enjoy your blessings, make a difference, and leave a legacy! Each year we will review your plan and your portfolio performance regularly to help make sure you stay on course to reaching your goals. Let us help you get clarity, get a plan, get started, and stay on course! *Planning services are complimentary for clients with > $250,000 invested in an advisory account. Planning services are available to other clients for an additional fee. Our clients understand that good returns are important, but our aim is not to beat the S&P 500; our mission is to help you accomplish your life goals. We work together to develop a diversified portfolio designed to help you meet your goals within your personal risk tolerance. Volatile markets and changing economic conditions require that you have a portfolio that can weather the storms. We diversify broadly using the traditional approach of Nobel prize-winning, modern portfolio theory for the core of our portfolios. We supplement this approach with flexible / tactical portfolio management to potentially reduce risk and increase returns. We blend low-cost index funds into our portfolios to reduce the overall fees. Our primary fund partners are Vanguard, American Funds, Blackrock, JPMorgan, and First Eagle. We select funds based on research from Morningstar Analytics. Morningstar is a leading provider of independent investment research around the globe, providing data on approximately 500,000 investment offerings. 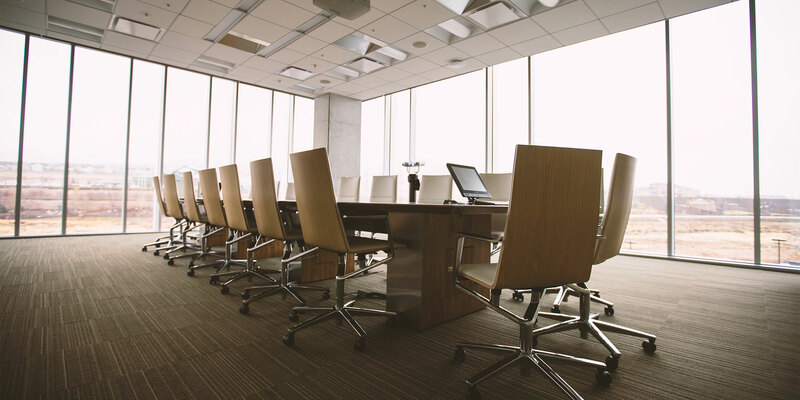 As an independent, third-party resource, their research is free of the conflicts of interest found in the research departments of many Wall Street firms. We gather our economic and market research from The Conference Board, the Wall Street Journal, and the National Bureau of Economic Research as well as other sources. Let us take care of your portfolio – so you can rest easy and focus on the people, causes and activities you enjoy most! 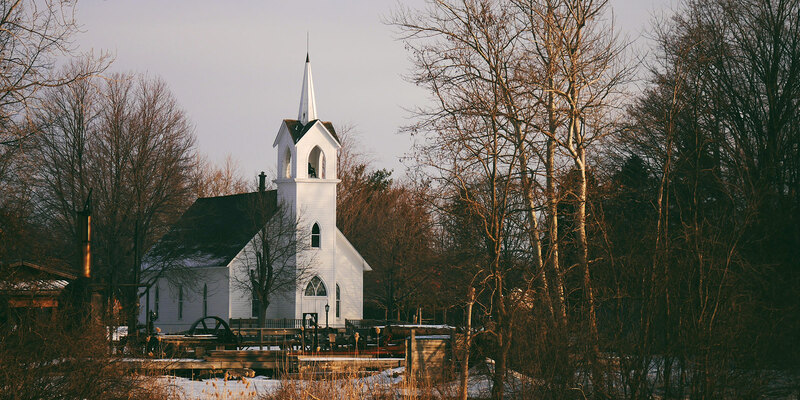 Endowment Creation / Management – to facilitate planned giving and large gifts to help ensure future ministry funding. As a business owner or manager a solid 401(k) plan can help you attract and retain good talent and reduce taxes. But Are your fees reasonable? Are your funds performing well? Does it have all the features you need? Are employees engaged? Are you covering your fiduciary duties? Are you getting the tax benefits you desire? Let us help you review your plan’s funds, fees, and features and compare with other plans. If needed, we can help you install a new plan. Or if you simply need someone to conduct regular enrollment meetings and investment education our services can be arranged very easily, often at no additional charge. Would you like to know how your outside investments have performed over the long term? Curious about the internal expenses? The downside risk? we can help you manage them while still in your company 401(k) plan. Not sure whether a 401k or IRA is best? A rollover isn’t always the best option. We’ll help you review the rules, investment options, fees, and services provided. If a rollover makes sense for your needs, we’ll fill out the paperwork and have it signature ready for you. Which is best for you? We can help you decide based on current and projected salary expectations, tax rates, and other factors. Concerned about investment taxes? We integrate tax management considerations for tax-sensitive clients, and can work with your CPA on more complex situations, or refer you to a qualified tax advisor. Stock options, restricted stock, and other executive benefits can be confusing to understand. We can work with your tax advisor to help determine a strategy to both mitigate taxes and reduce risk or capture gains. When is it best for you to begin taking social security? We can help you determine your optimal strategy, depending on your age, health, age of spouse, assets, and other factors. Which option should you choose? Life? Joint Life? 10 year certain? 20 year certain? We can help you weigh your options and select which is best for you and your loved ones. We can help you map out your initial legacy goals, recommend qualified Estate Plan Attorneys, and meet with you and your attorney to help coordinate your planning to accomplish your goals, reduce taxes and avoid probate. Studies show estate settlement stands a better chance of success if beneficiaries are informed ahead of time. This can sometimes be difficult for parents. With our experience in ministry as well as finance, we can help you discuss this with your beneficiaries in a caring, neutral and professional manner. Not sure who is named as beneficiaries on all your outside accounts? We’ll review them with you, and your estate attorney if needed, to help make sure all your beneficiaries are named appropriately to achieve your goals. What is the best way to save for your child’s or grandchild’s college education? 529? UTMA? We can help you plan and prepare. Do you have too much, or too little? Is term or whole life better for you? What about long-term care, or disability? Are there better policies available since you originally purchased yours? Instead of paying a commission whenever changes are made, most clients like to work with us under an advisory arrangement where they pay us only an annual fee based on account size. We believe this is a better arrangement for all parties because it puts us both on the same side of the table. Since our fee is tied to the size of your assets, it ties us to your success and we have an added incentive to watch your accounts closely. With an advisory arrangement you can be sure when we call, it is to provide advice we believe will protect or grow your accounts, rather than to earn a commission. While we typically recommend advisory arrangements, there are some investments, such as variable annuities, that we can only invest in through a commission arrangement. If we recommend such investments for a portion of your portfolio, we will be sure and explain the difference in fees along with our reasoning for the recommendation. Certain clients may be better served by a commission based account depending on the individual suitability.